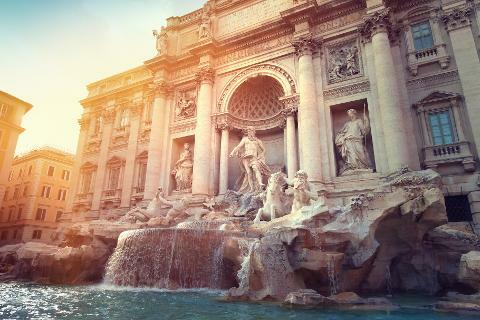 Great for history buffs and those with limited sightseeing time, this tour lets you take in many of Rome’s top attractions in less than two hours. Your small group (with a maximum of 25 people) will visit such iconic sites as Spanish Steps, Trevi Fountain, The Pantheon, and Piazza Navona—all of which sit amid bustling modern shops and cafés. Guiding you will be an English-speaking history expert, whose knowledge will bring these ancient attractions to vivid life. Capping off the afternoon as many Romans do: with a visit to Piazza Navona, for a real Italian aperitif with wine and tapas! After meeting your group at 6:00 p.m. near the Piazza di Spagna, you’ll admire the the best people watching destinations in Rome; the Scainata di Piazza. This massive, 18th-century Baroque fountain is the largest in Rome—and it gushes such an enormous volume of water that you’ll likely hear it from a block away as you approach. Once there, you can join the throngs of visitors admiring its grand travertine façade, its sprawling aquamarine pool, and its marble statues of Oceanus and his Tritons. You can pose for photos, or just pretend you’re in Fellini’s La Dolce Vita. When Michelangelo first saw this magnificent temple, he reportedly described it as appearing to be the work of angels. You’ll discover this sense of wonder yourself as you wander between its soaring Corinthian columns and beneath its stupendous, oculus-topped dome. Though nearly 2,000 years old, the structure is still the best-preserved remnant of ancient Rome. Your tour finishes at one of Rome’s most famous, and beautiful plazas: Piazza Navona. 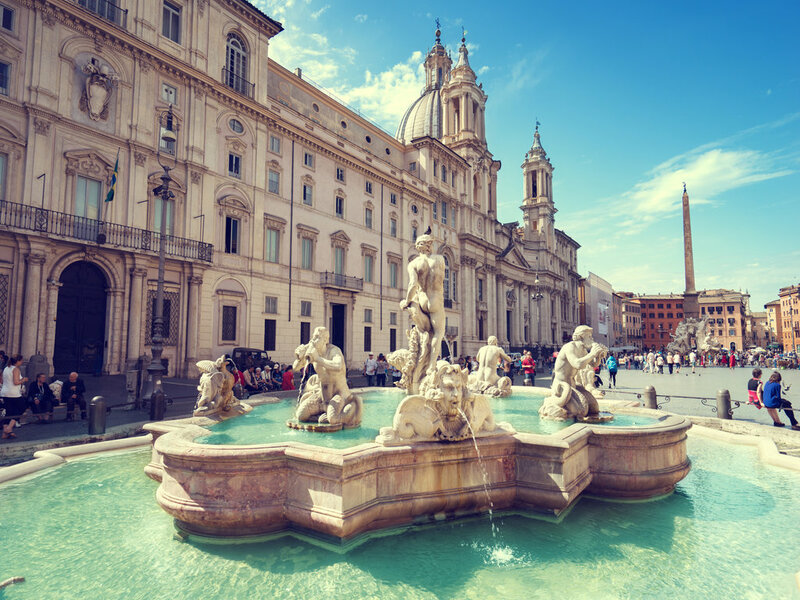 A sweeping, oval-shaped square that’s anchored by three historic fountains (including the Fontana dei Quattro Fiumi, or Fountain of the Four Rivers), it’s also a hub of nightlife for the modern city, here you'll enjoy your final stop with a glass of wine and Italian tapas. This tour requires a minimum of two participants. Please note that one or more sites on this tour may occasionally experience last-minute, unforeseen closures. If this occurs, your group will instead be treated to alternate arrangements. Tour refunds or discounts will not be provided. A small purse or camera bag only (no backpacks or large shoulder bags). Security checks at some sites restrict the size of bags that can be brought inside.